Henry Huntley was born in 1839 at Sidmouth Street, Devizes, Wiltshire, the son of Job Huntley and Sarah (nee Sellwood). During his childhood his parents moved from Devizes to Buckingham and then to Thrupp, Stroud, Gloucestershire which was in the Woollen Manufacturing area of Gloucestershire. Henry seems initially to have been in the wool trade and he is shown as such on his marriage certificate when he married his first wife, Jane Bailey Cousins, at Liverpool in 1860. He and Jane lived at Wotton-under-Edge, Gloucestershire. Jane died in 1877 in Gloucestershire and Henry seems to have moved to Cardiff. In 1878 in Cardiff he is described as Commission Agent when he married his second wife, Fanny Fern Cousins, younger sister of his late first wife. By 1880 he had set up in business as a provision merchant & grocer at Maugham Street, Penarth, Glam., a business which stayed in the family for over 100 years. Later on the shop became, also, the sub-post office for that area of Penarth. Henry died in 1920 at Penarth, followed the next year by his widow, Fanny. 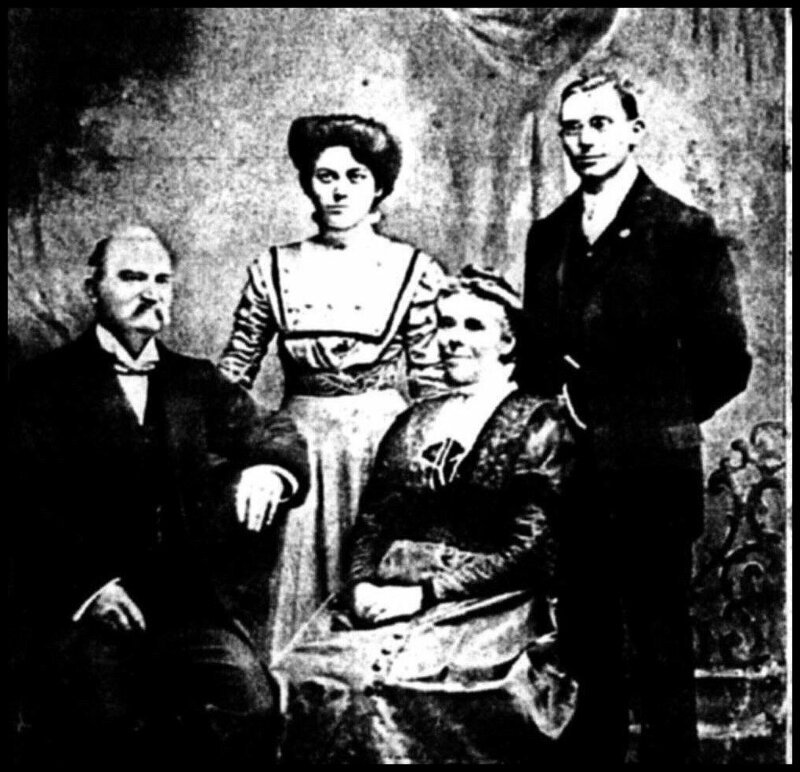 The photograph is of Henry Huntley his second wife Fanny Fern Huntley and their two children Clarence Stuart Huntley and Rosa Ella Huntley. This photo came to me from a descendant of Henry in Queensland, Australia.